Recently we took a trip Phoenix to visit the Spry Resort. It’s not a public resort, it’s where my Aunt and Uncle live. They’ve made their home into a paradise in the desert. When you’re a guest of theirs, you are treated like royalty. They rock the food like a 5 star resort, one fantastic meal after another and the cocktails are totally over the top every time. 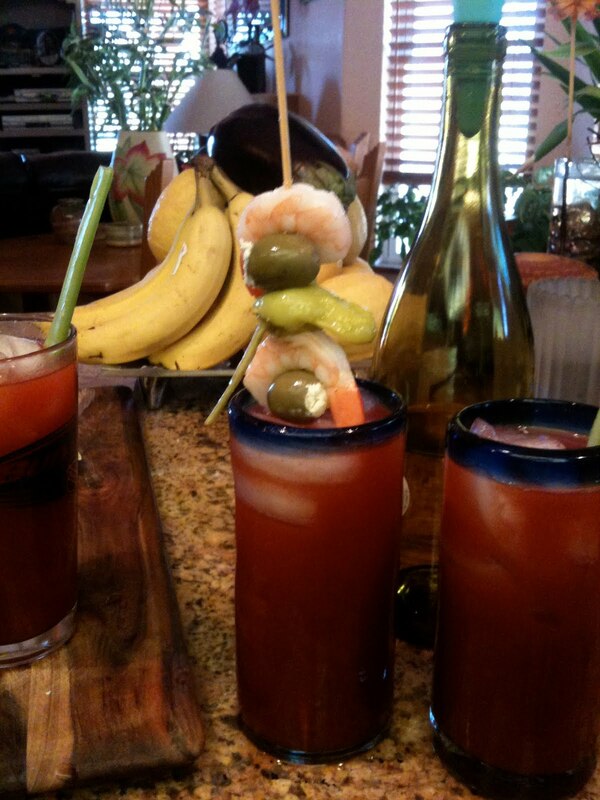 This is how we were greeted upon our arrival…..Bloody Mary’s w/ blue cheese stuffed olives, peppers, shrimp and a floater of chile spiced vodka….mmmmmmm. Then lunch came…. a stacked out grilled delight. 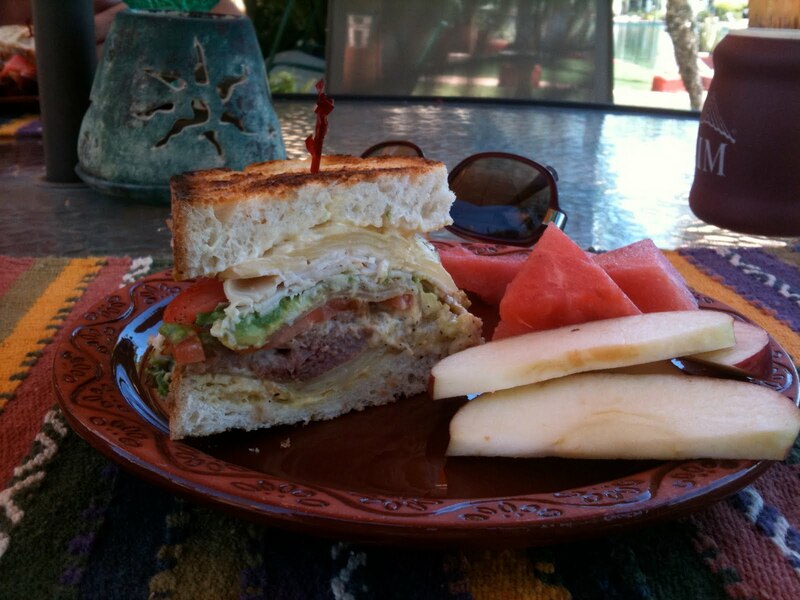 I’m not even sure of what all was in this sandwich, but it was good. Then dinner….. grilled Baby Back Ribs, Bake Beans and Deviled Egg Potato Salad. 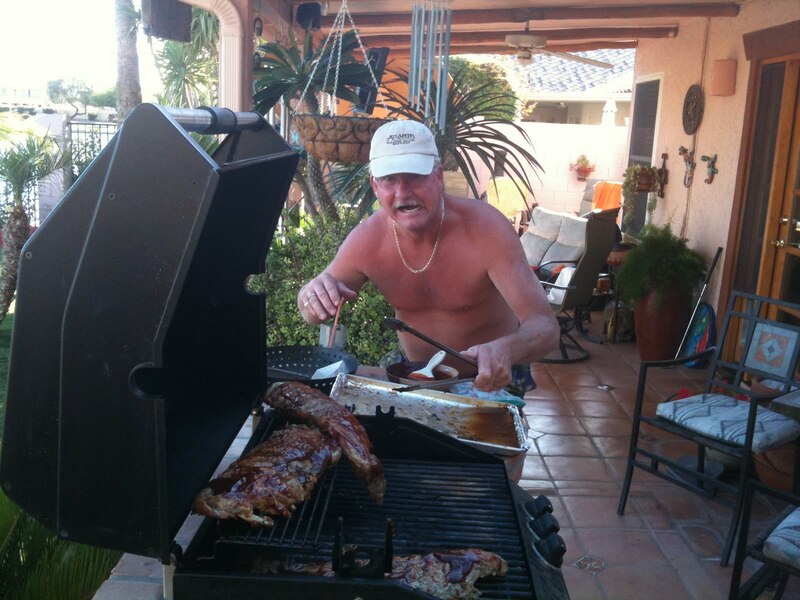 This is my Uncle Dennis, the Grill Master ! and extreme host. Love him tons ! 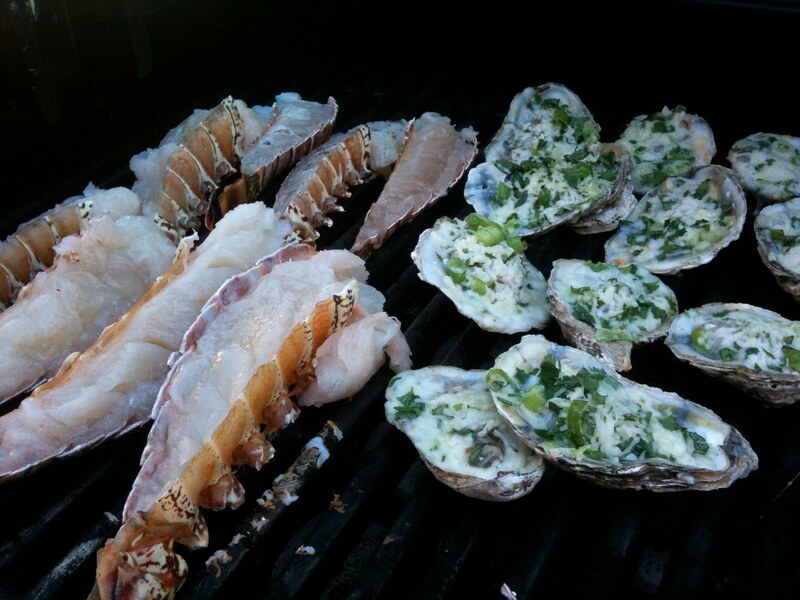 The next day the grill was in effect again with a Seafood Extravaganza, Lobster Tails, Oysters and Shrimp Cocktails. Sorry no pics of the Shrimp Cocktails, they were gone way too fast. It was a lovely weekend of food and fun, big hugs and kisses to my Uncle Dennis and Aunt Debbie, thanks for all the love. Sorry no recipes or instructions, just sharing our fabulous time at the Spry Resort. >holy cow… i want to go visit them!! I ready to go back and see some sun!